The Staggies have been in impressive form in recent months and are now on the brink of realising their objective, although they are still being chased by Dundee United. 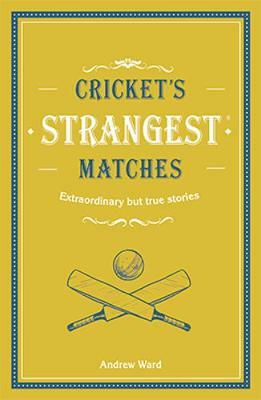 However, as the new, updated version of author Andrew Ward’s book “Cricket’s Strangest Matches” highlights, not every Ross Country collective has enjoyed such an auspicious run. On the contrary, the club’s white-flannel counterparts didn’t manage a run at all when they tackled Elgin in the North of Scotland league on a Saturday in May, 1964. With the summer game poised to resume in the weeks ahead, this is a time to be positive and enjoy pre-season net sessions and friendly tussles with local rivals. But, as most Scots who participate in cricket will be painfully aware, there are afternoons where the wheels fall off with a vengeance and everything that can possibly go wrong does go wrong. That was certainly the case when Ross Country met their northern opponents 55 years ago. They were “only” chasing Elgin’s 145 for 5, but the home pace attack, in the shape of postal worker, Bernard Woolfson, and Forestry Commission employee, Dave Murray, soon transformed the occasion into an utter rout. Cricket’s Strangest Matches highlights Ross County being skittled for 0. Up strode Woolfson for his first ball. 0 for 1. Then, in rushed the seamer again and clean bowled the next hapless County batsman. Normality resumed for the remainder of the over, but Murray subsequently delivered a wicket maiden and Woolfson claimed three further scalps as the visitors’ innings unravelled in an explosion of shattered stumps. Murray, by this stage recognising that something special was unfolding, only required one more over to finish the match, grabbing another trio of victims and, given that the County set had arrived a man short – perhaps he had experienced a premonition – they were all out without breaking their duck. Similar collapses were not unusual, especially on damp early summer pitches, and it was to Ross County’s credit that they picked themselves up and were back in action the following week and have been a force for good in the region ever since. As one observer, who later chronicled the debacle, said: “Ross County deserved praise for their sportsmanship. Most of their away fixtures involved travelling between 100 and 200 miles. “The home team were glad that their opponents had turned up, so they could play cricket, let alone beat the long-standing record for low scoring. 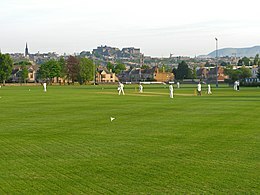 Teams are gearing up for the start of the new cricket season in Scotland. However, it can be equally toe-curling when a side is confronted with what appears a tiny target and yet they still end up falling short….especially when the grisly details are subsequently splashed on the front page of a local newspaper a few days. Enjoy your cricket in the months to come and just remember things could always be worse. Ward’s book relates how Pakistan Western Railways took on debutants Dera Ismail Khan (DIK), also in 1964, and batted for more than two days in rattling up a massive 910 for 6. Their dishevelled, exhausted opponents were then dismissed twice for only 32 and 27 and succumbed by an innings and 851 runs, which remains the heaviest-ever defeat in first-class cricket. Whatever privations happen to your club this summer, rest assured they won’t be as painful as that.